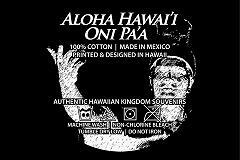 By wearing the Hawaiian Kingdom T-shirt you are helping to put joy into the hearts of Hawaiians and help the wandering spirits of native Hawaiians and immigrants that have gone before find rest and peace. 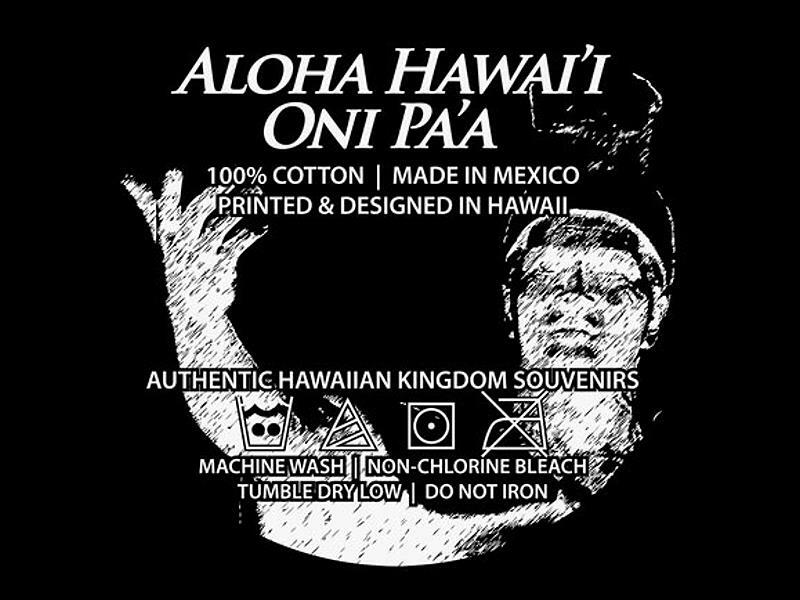 You are also helping to support self-sufficiency of Hawaiian youths, as well as environmental causes that focus on woman's health, education, and alleviation of poverty, as most of the profits of Hawaiian Kingdom T-shirts sold in Hawai`i, except for necessary sales expenses, are earmarked for supporting such causes. 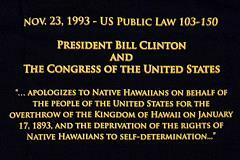 For a more complete and factual history of the former Kingdom of Hawai`i that still exists and is being awakened or reawakened in the hearts of many of us, you may want to visit the Bishop Museum (www.bishopmuseum.org) while in Hawai`i or peruse their own or our website. 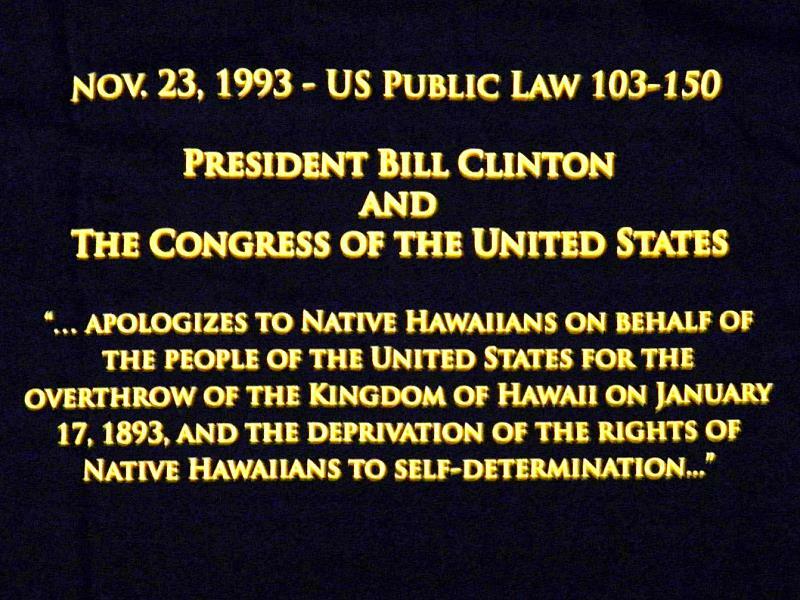 The Bishop Museum was the principal avenue that kept the Hawaiian history, culture and spirit alive when Hawaiians were forbidden to use their own language in public and private schools after the overthrow of their kingdom in 1893 and were instructed for almost half a century thereafter with textbooks that distorted the history and truth of the illegal overthrow. 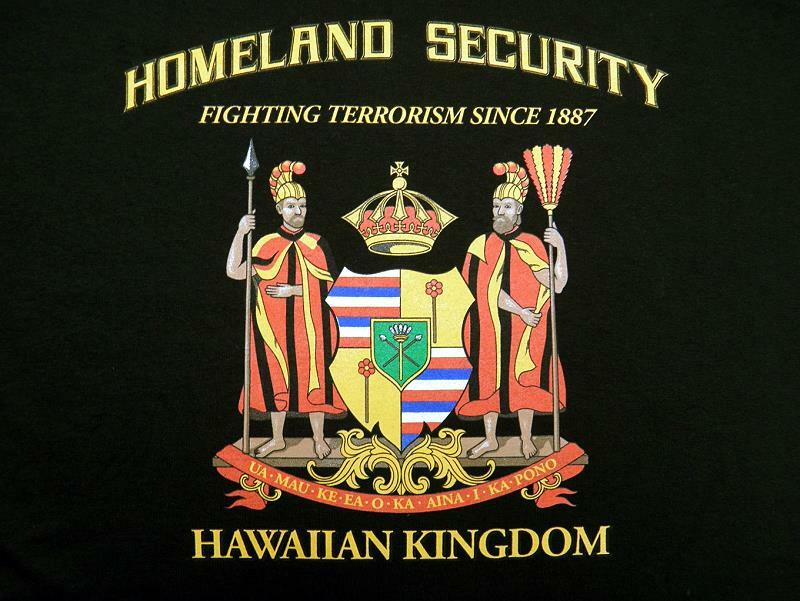 For most Hawaiians, HOMELAND SECURITY nowadays means taking care of and educating our children about the history of Hawai`i, helping them to become self-sufficient despite our traumatic past, keeping our culture alive through showing hospitality to our island visitors, getting together to be happy and creating music, and through keeping alive healing and wellness practices, Hawaiian-style sustainable farming and fishing, hula-mai, canoeing and surfing. 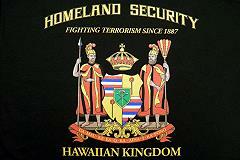 Perhaps the majority of tourists to Hawai`i come to enjoy the beautiful beaches and shopping opportunities. While some consider this surface tourism, we want our tourists to have a more in-depth understanding about the history and culture of the islands and truly appreciate and enjoy Hawai`i.